I was promised delicious food and delicious food was what I got! Of the four days that I had spent in Montreal, I went to the Montreal Markets on three separate occasions. Three! Out of four! I really was not expecting to go back so many times but I was smitten. The Public Markets of Montreal is a group of 250 members, vendors, and merchants from 15 markets. 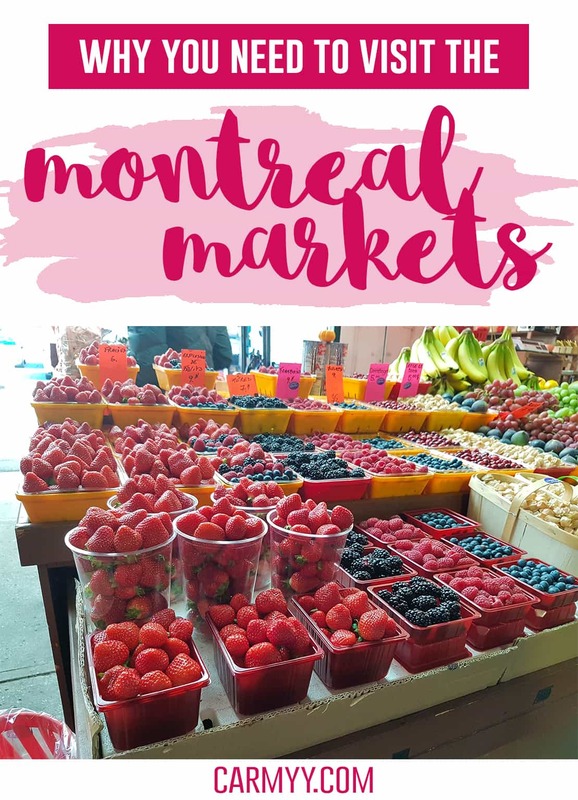 This is where rural and urban meets in Montreal as these markets gives locals and tourists like myself access to the local produce in convenient spots at affordable prices. You absolutely need to visit the Montreal Markets if you are ever in town. 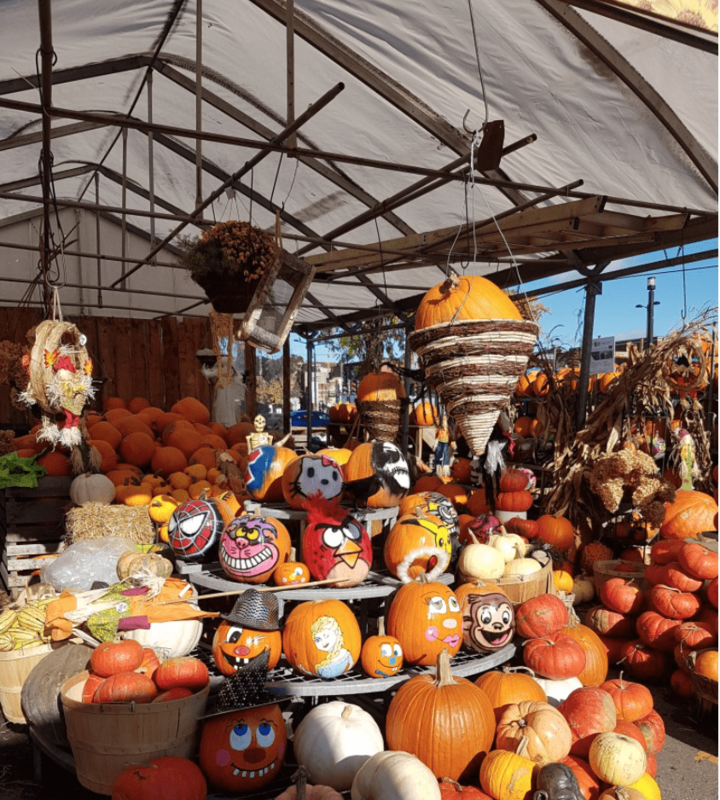 When I walked into Atwater Market, my first sight was so many pumpkins to prepare for Halloween! Some were decorated and some were plain. There were mini pumpkins and there were huge ones. I was practically in a pumpkin patch and was so tempted to purchase one! Once I made my way past the pumpkins, I was greeted with ALL the fruit. The vendors were friendly, offered samples, and I immediately fell in love and purchased a box of fresh strawberries. There were vendors with fresh fruit, vegetables, shops filled with cheeses, meats, pastries, and more! 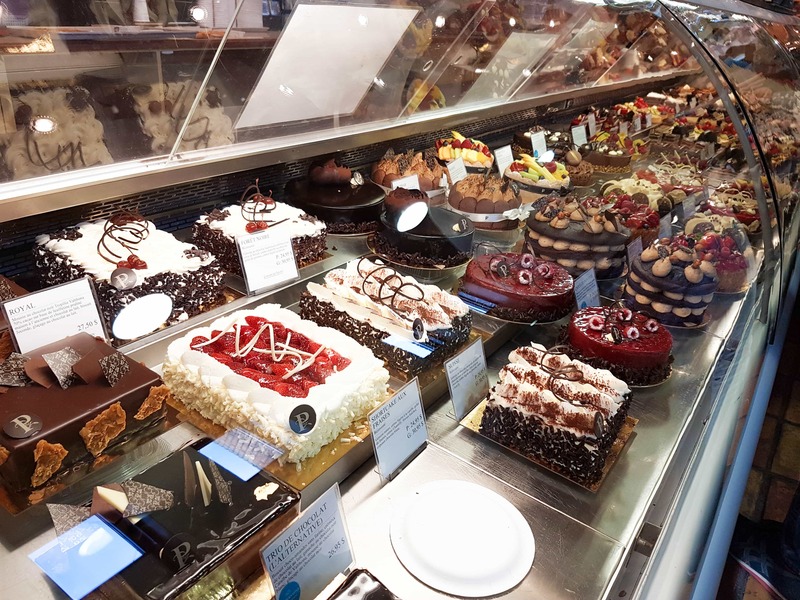 I was overwhelmed by all the options and needed to be held back from buying ALL the foods. Everything was pretty much below big box grocery store prices (and were bigger and more fresh!). My friend Jen exclaimed “look how cheap these peppers are!! !” when we walked by a whole bag for $1.50! We regretfully did not purchase any peppers nor the avocados bigger than my fist. We later had a conversation about how we should have tried to make room in our bags to try and fit the whole Montreal Market in! Needless to say, the two of us were smitten by the fresh options, prices, and the size of everything available. Sounds like a place you’d enjoy visiting? Below is a list of markets that are either a personal favourite or came highly recommended by the locals. 138 Atwater Ave – Atwater Market is a short walk from Lionel-Groulx station, along the canal. Opened Monday to Wednesdays 7AM – 6PM, Thursday to Friday 7AM – 8PM, Saturday to Sunday 7AM – 5PM. 7070 Avenue Henri-Julien – Jean-Talon Market is a short walk from Jean-Talon Station just passed Little Italy. 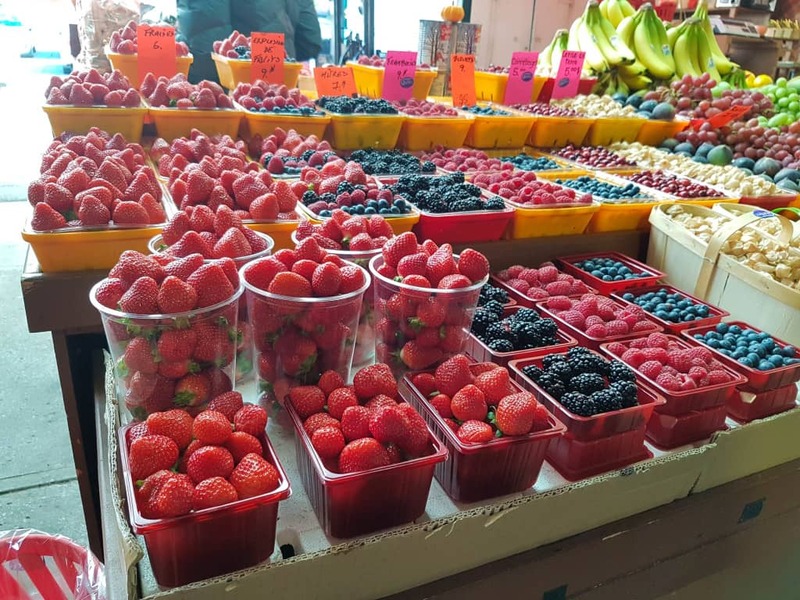 Jean-Talon Market is actually the largest in North America! Definitely worth the visit. Opened Monday to Wednesday 7AM – 6PM, Thursday to Friday 7AM – 8PM, Saturday 7AM – 6PM, Sunday 7AM – 5PM. 2146 Marlow Ave – NDG Good Food Market is a non profit market with local, organic, “imperfect” items, seasonal vegetables, and more (i.e. sometimes there are freshly cooked meals!) at an affordable price to combat poverty. Opened Friday 2PM – 7PM. 2349 Rue de Rouen, #100 – Marche Solidaire Frontenac again provides a supply of fresh fruits and vegetables and affordable to the population residing in the Centre-Sud district of Montreal. Opened Tuesday – Saturday 10AM – 7PM. 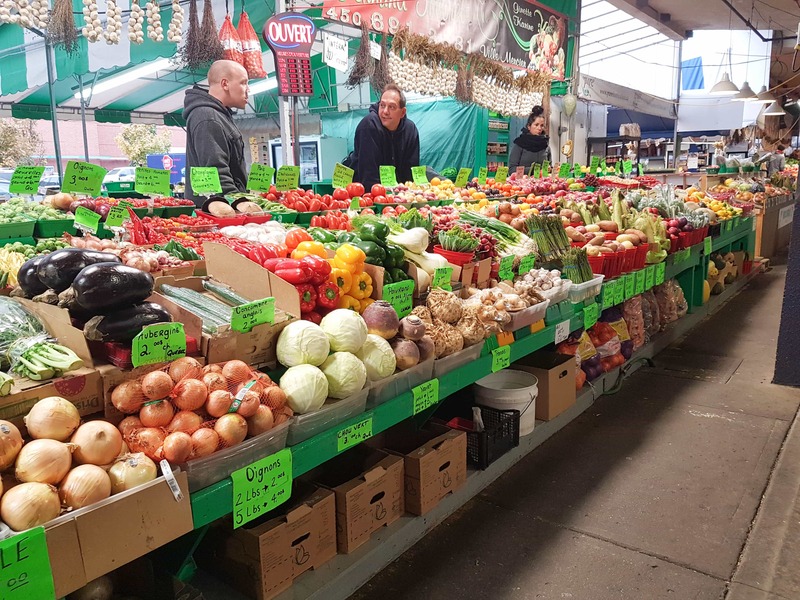 4445 Ontario East – Maisonneuve is a smaller but cute little market that is opened year round. Opened Monday – Wednesday 7AM – 6PM, Thursday – Friday 7AM – 8PM, Saturday 7AM – 6PM, Sunday 7AM – 5PM. QOTD: How often do you visit your local farmer’s market? Do you visit local markets while on vacation to see what is available there? I love markets! I stumbled upon the Jean-Talon Market when I visited Montreal in 2012 and loved it! There needs to be more of them everywhere! I’M SO GOING THERE IN MAY. ALL THE MARKETS. I love checking out farmer’s markets and roadside stands anywhere that I visit. We went to a lot when we took a trip to Cali several years ago. I totally would have been all over those pastries and cheese at this one, haha! Markets are among my favorite things in travel. You have picture them with perfect colors and images. 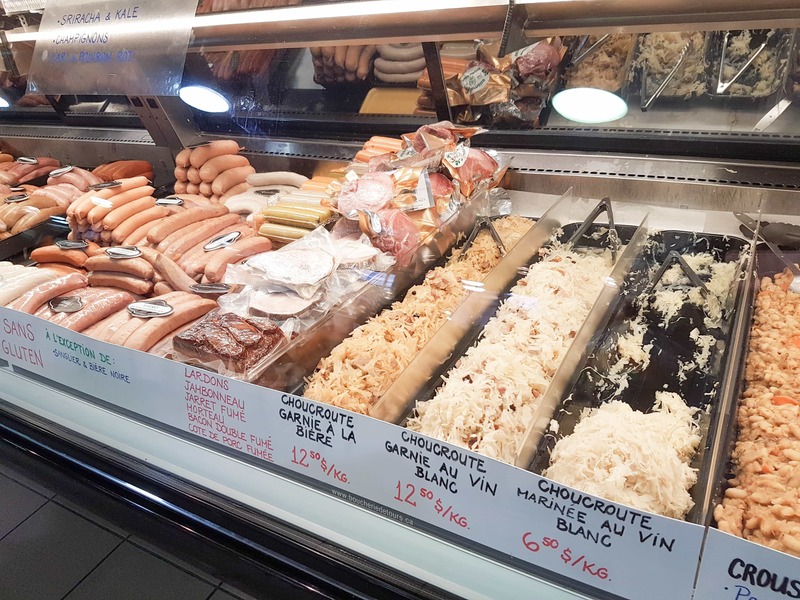 Montreal is such an inspiring destination, I believe visiting its markets and indulging in some local tastes can be a fantastic experience. I love everything I have read so far about Montreal. I love going to markets and trying out different foods and spending time with friends. This sort of reminds me of the markets in London or here in Vienna. Love the pic of all those pumpkins. Oh you don’t even have to give me reasons to visit Montreal and it’s markets! I LOVE wondering those types of places so so so so so much! <3 That's really all I did when in Greece! Wish we did more Farmers Markets than we do – but we have to drive a good distance making them not as affordable. This one looks beautiful!! 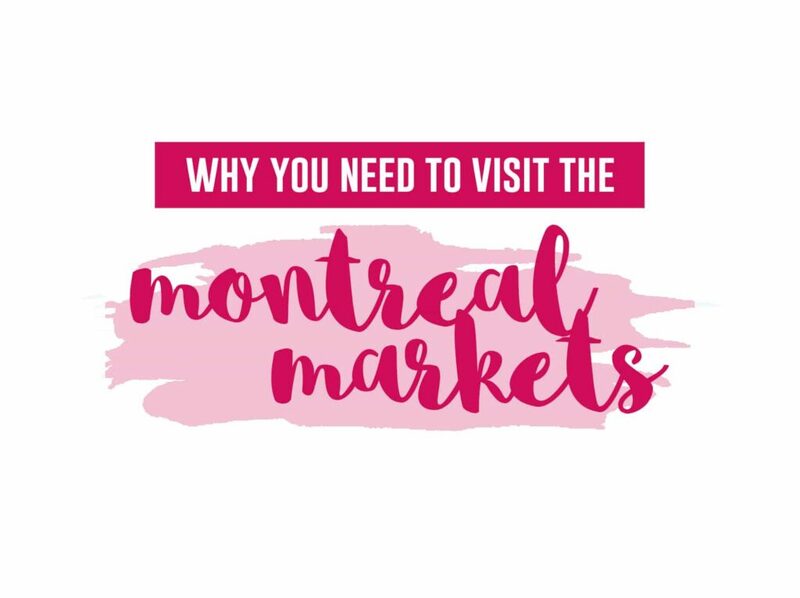 I love farmer’s markets, and I have always wanted to visit Montreal–sounds like enough reason to me for a trip! Wow! This market looks amazing. What fun to be able to go and see all this!! I visit local farmer’s markets as often as possible. It is an all year activity here in California (since the weather is nice). I love to stop by markets when I am visiting a city too. It is one of the top things I like to do. Markets are the best, big and small, local and otherwise famous. They all just rock! Looks like a ton of fun places! This post is great! I really love going to local markets and this looks like a great one. The food and your photos look so good! Thanks for sharing! Montréal markets must be awesome if you went there three times out of four days! I must say the food on the pictures looks yummy, so I understand! 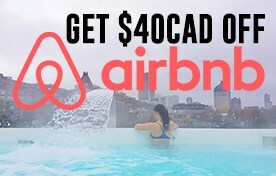 Nice tip, I’ll definitely check out the markets when in Montréal! I feel like Montreal is one of the few cities in North America that looks and has a vibe of Europe. It’s very walkable. Just I’m not sure of the cold though. But summer time it’s an awesome place to visit. Visiting the farmer’s market is truly one of the best ways to experience the local culture of the city. This market in Montreal is a dream. Aside from being able to buy fresh produce, the food is one of my favorites!! Those angry bird pumpkins are so creative and pretty! Love the spread they have at these markets. Makes for a perfect weekend morning trip! What a great market! I am adding it to my list of places to visit next time I’m in Montreal. Oh god the fruit and cheese looks so divine. Just so tempting! You might find this weird but I’ve never seen a pumpkin before. Lol. The pumpkins in your photo look so perfect! How much is it normally? Like the normal size? 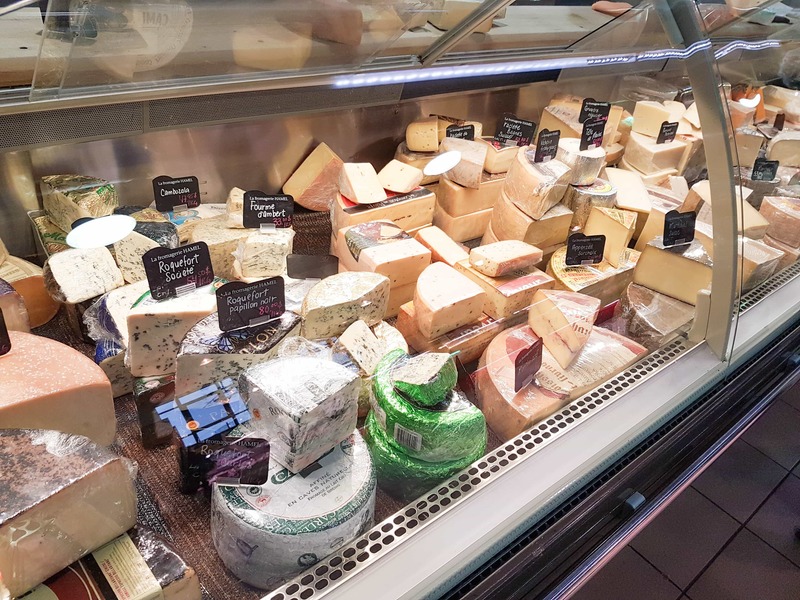 The markets in Montreal look awesome, especially the fresh produce and awesome range of cheeses. Great to see all the pumpkins lines up ready for Halloween too. I love a good market so would really enjoy exploring these if I ever get the chance to visit Montreal. Oh wow, 250 members + vendors?! I can see why you went back so much. I need to figure out my town’s closest farmers market. My college town had the cutest one every Saturday. My goodness- those strawberries are MASSIVE! I love visiting farmers markets but the ones around here are SO expensive. This one sounds like it’s reasonably priced- I’d love to check it out and feast on samples when I visit Montreal! Food markets are the best!! One of my favourite things to do while travelling is checking out the markets and finding tasty things to eat! its so much cheaper than eating in restaurants and you get to meet the producers too! Oh gosh, it’s heaven. If I was there I’d just want to stick my face in the cheeses and pastries! And those berries look delicious. My stomach is very jealous right now. Markets really are the best thing to visit in a new city. I feel like you get to feel the vibe by going…and you’ll definitely eat well too. Montreal seems to have a ton of these fun places to explore! I didn’t realize just how many markets there are in Montreal! When I was there a couple of years ago I went to the Jean-Talon to pick up loads of fresh veggies + fruits for roadside picnics! I was especially excited when the U.S. customs guy didn’t make me throw them out when I crossed back into Maine! Great post, and I’ll be sure to check out the other markets next time I’m there! Cheers! Aaaw, I miss Montreal! I studied there for about 3 months, and it’s one of my favourite cities ever! I remember there was a flower market right in front of where I lived that I loved, I wish I had visited all these markets too! I’ve been there twice and love it. It’s awesome to visit in autumn when the pumpkins throw in a good dash of orange. Great photos and the food looks delish. 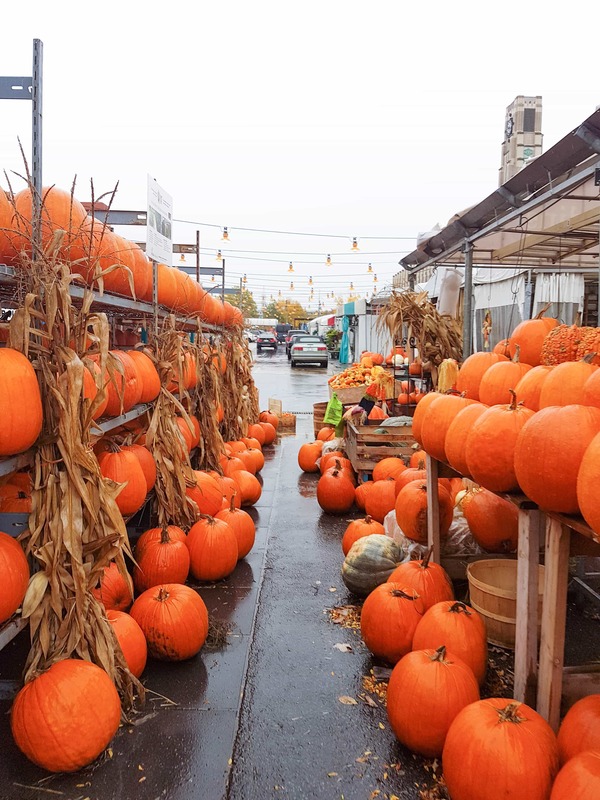 We are awed by the picture of the abundance of plain pumpkins lined up and their enticing hues. 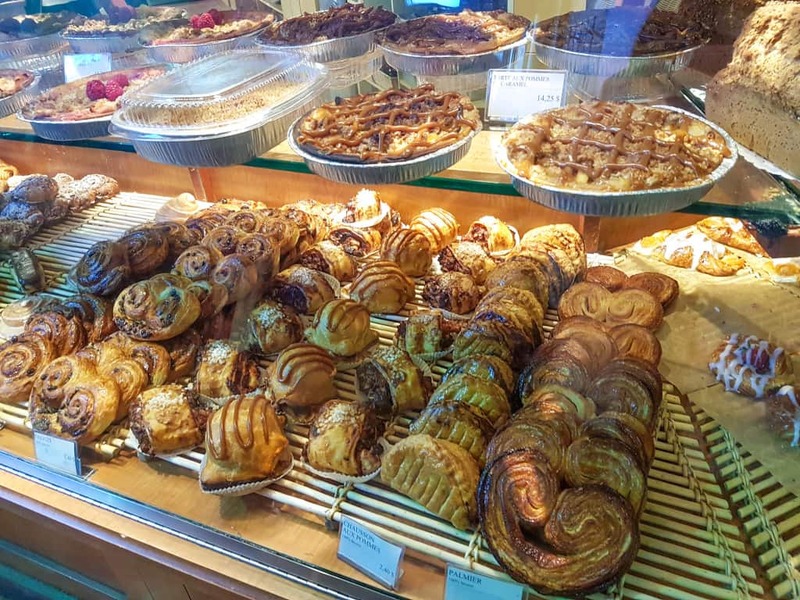 And that pastry section is so tempting, We would love to visit the market and explore and buy some of the fresh produces. I love visiting local markets ! My favourite market is Bourough Street Market in London they have amazing food. The images from the market you captured are stunning and the prices seem very reasonable. Those strawberries look HUGE! Okay, Montreal Markets is such an amazing market to visit in Canada. The fresh produce is in complete abundance and those pumpkins are so cute! Just seeing your pumpking photos, the strawberries and foods, it is no doubt I’m fll in love to thia market. Definitely worth every visits. 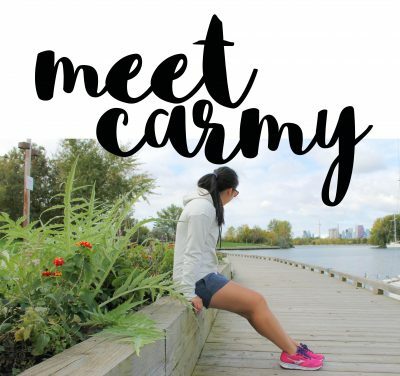 This marketplace looks amazing to explore and interact with locals! I’d love to visit there! The Market looks like a great place to get some quality stuff at reasonable rates. The fruits and vegetables look so fresh and straight off the farm, wold love to buy them. I am sure they are fresh and completely natural. See the food in your picture makes me hungry. I like to eat strawberries, strawberry fruit seems there are very large and fresh. Unlike in Bali, the size of strawberries in Bali is very small. I’ve always loved to visit markets, because of their energy and vibrant colors. Loved your photos and would like to go to Montreal to visit these markets for myself. Those fruit shots are simply amazing! I enjoy markets a lot when I head abroad! I don’t buy the food as much unless I will be there a couple of days to enjoy it. (unless packaged). I love Montreal and have only been in the winter. I will be sure to go in the summer to check these out. I love checking out markets in every new city I visit. For me, it brings me closer to the local community. I know you mentioned that you didn’t buy any peppers or avocados…but please tell me you tried some of those sweets! It looks like autumn would be the perfect time to visit! I love pumpkins and all the food looks delicious. What was your favorite find? Such a varieties of food, fresh and cooked all over around. Your series of pictures from the market raise my hunger.